Windows 7 Release Date - 22nd October 2009! During a keynote address at Computex 2009 in Taipei, Microsoft’s OEM Division Corporate Vice President Steve Guggenheimer revealed that the company is confident with the progress made with Windows 7 and Windows Server 2008 R2, and that as a result, Microsoft will deliver Release to Manufacturing (RTM) code to partners in the second half of July. 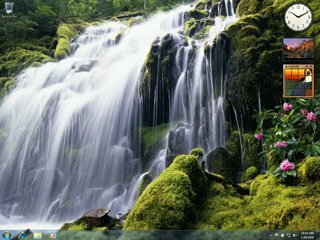 Windows 7 will become generally available on Oct. 22, 2009, and Windows Server 2008 R2 will be broadly available at the same time. In addition to this, Guggenheimer announced that Microsoft will make available an upgrade option, so partners can offer customers the ability to purchase a Windows Vista-based PC and install Windows 7 when it’s ready.